AMA won the contest "Exporter of the Year"
On November 25 AMA company participated in the ceremony of summing up the competition for small and medium enterprises "Exporter of the Year" for the representatives of small and medium enterprises. Such event held in St. Petersburg for the first time. The competition is open to companies with proven export experience and meet the following criteria: the registration in St. Petersburg, the number of employees up to 250 people and a turnover of 2 billion. rub. At the end there were more than 20 applicants in the contest. 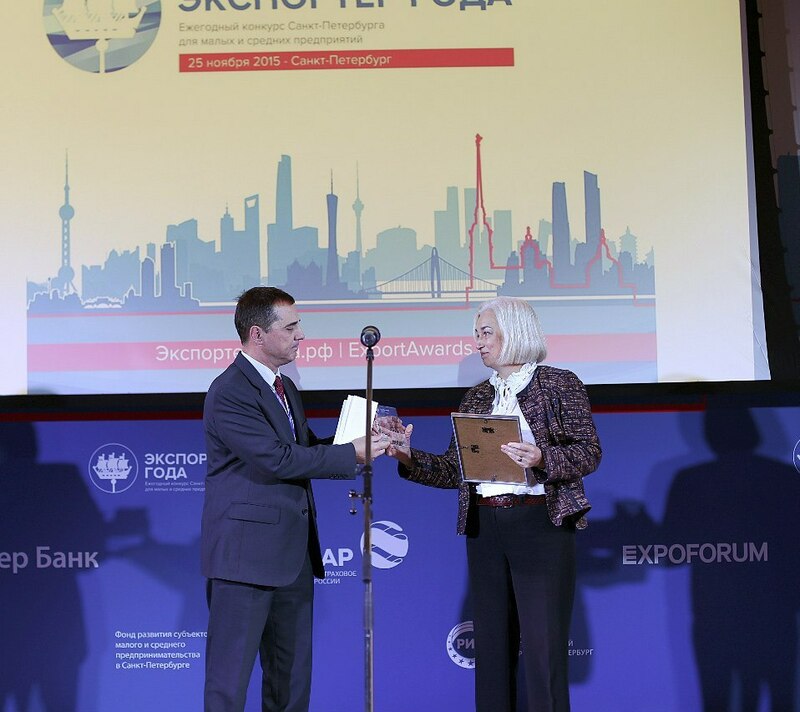 Awarding of the best exporters of St. Petersburg was held in 9 nominations, the company "Association of Medicine and Analysts' rightfully received the award as "Exporter with the widest geography of export". For all the time of export sales "AMA" has made delivery of test systems for invasive and non-invasive diagnosis of Helicobacter pylori in 40 countries, among which including such countries like Gabon, Cameroon, Trinidad and Tobago, and, of course, CIS countries, Europe and Asia. As for "Association of Medicine and Analysts", participation in the contest and winning the category were perfect chance to express themselves at the national level, to establish new business contacts and enter into the community of the leading exporters of St. Petersburg. The contest "AMA" will go down in the official catalog of exporters of St. Petersburg under the name "St. Petersburg Excellence".